Threats to the tax exemption defeated – Legislation that would have repealed the fraternal premium tax exemption (as well as those of many other nonprofit groups) was defeated in Hawaii and Washington. Your trade association funded these efforts, which required us to retain local lobbyists in each state and muster member societies’ ground forces in order to convince lawmakers that repeal was poor public policy and a bad deal for taxpayers. The Fraternal Advisory Committee’s hard work paid off when the NFCA launched the first comprehensive survey of fraternal activity, supplying vital information about how fraternals contribute to American communities. Protecting the fraternal tax exemption starts with data-driven advocacy. A merger made in heaven – The Catholic Knights/Catholic Family Life merger was completed and a new society – Catholic Financial Life – was created. This was a strategic merger, driven by the forward-thinking management of both organizations, and it sets the tone for similar consolidations that provide more and better benefits to members through the creation of more efficient and responsive societies that can capitalize on the economies of scale so necessary in today’s business model. RBC standards gain momentum – Minnesota becomes the second state to enact RBC requirements for fraternals. Meanwhile, the NAIC abandons plans to adopt a national fraternal RBC model law, citing the progress that individual states and the NFCA are making as the prime reason why such a model is unnecessary. New brands for mature societies – Catholic Aid Association became Catholic United Financial; Mennonite Mutual Aid Association became Everance Association; and Greater Beneficial Union became GBU Financial Life – all sweeter sounding names for the next generation of fraternal members. Record membership renewal rate and an increase in membership – The number of societies in your trade association actually increased in 2010 thanks to a 100% membership renewal rate and the addition of three new members. That’s a remarkable achievement in a year when most trade groups saw their memberships slip thanks to attrition, consolidation, and tough economic conditions. We’ll do everything we can to make membership even more valuable in 2011. Brand identity – Thanks to a comprehensive communications campaign, more state and federal public policymakers will know who the American Fraternal Alliance is and what our societies do to enhance the quality of life for their members and the communities in which they live and work than ever before. RBC train keeps on rolling – At least two states will enact new laws applying RBC standards to fraternals. The American Fraternal Alliance tests the feasibility of creating a new RBC formula for fraternals as part of the NAIC’s overall effort to recalibrate RBC formulas for all segments of the insurance industry. State fraternal alliances incorporate and engage – As a result of the American Fraternal Alliance name change, state fraternal organizations incorporate under the Alliance banner, join forces with state FIC groups, and become more engaged in political advocacy activities designed to educate state legislators on the powerful economic and social impact fraternals have across the country. It’s a good thing, too, since more than a dozen states could consider repealing nonprofit tax exemptions in 2011. 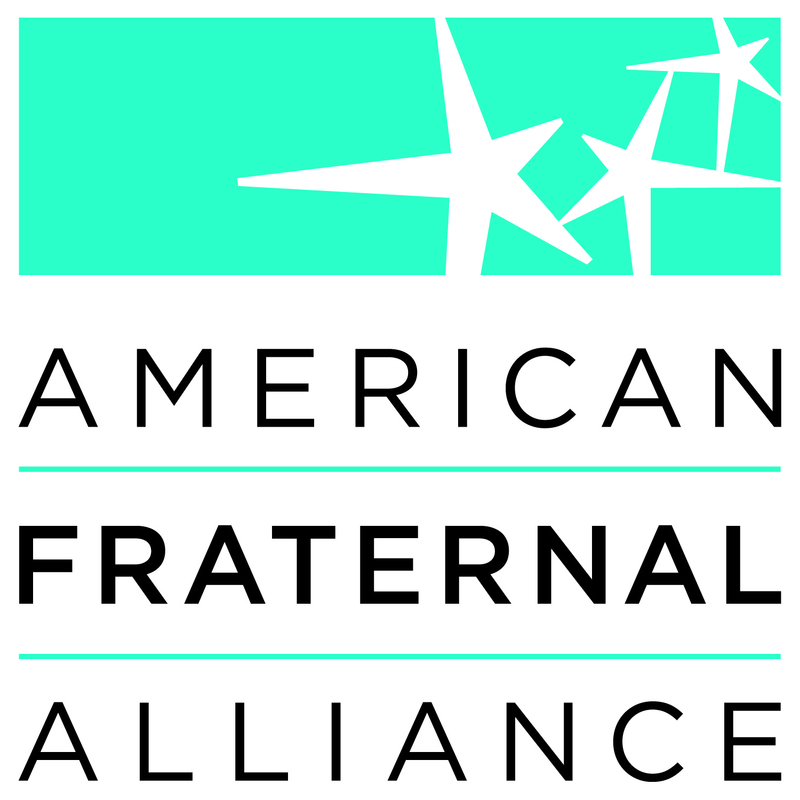 Data be the day – A record number of member societies participate in the American Fraternal Alliances fraternal activities survey. The results are compiled into an impressive collage of community service projects, financial contributions, and membership benefits that further validates the value of the fraternal tax exemption. Fraternals charge the Hill – CEOs from nearly every American Fraternal Alliance member society converge on Washington, DC on May 3, 2011 for the first every “Fraternal Day on the Hill.” Armed with compelling anecdotal and statistical data on the social and economic impact of the fraternal system, these ambassadors help convince members of Congress to keep the fraternal tax exemption out of the discussions over reform of the U.S. Tax Code. Merger mania – At least three mergers will be initiated in 2011 – either driven by the point of a regulator’s bayonet as a result of solvency concerns, or spearheaded by fraternal executives and board members who want to see their organizations stop living hand-to-mouth and prosper over the long-term.